Hey there everyone! So I’ve been nominated for the Sunshine Blogger Award by @9to5blogs THANK YOU VERY MUCH! It’s a great boost into the blogging community and I’m glad for the nomination as it’s lead to me talking to more bloggers – which is always great! Pretty straight forward right? So below is the 11 questions I was given and my answers to them! 1. Best book you ever read? I feel like I should always start this question with “besides Harry Potter?” because that’s always my first thought. Of course, these books are up there but I feel like it’s such an obvious answer for anyone who knows me! I do want to add I, Coriander to this as it’s one of the books I distinctively remember making me want to become a writer. You can read about some of my other favourites in my post ‘The Books That Made Us Readers’. I first made the blog in March 2017 with Post-University Life but didn’t touch it again until July. I made posts between 1-3 times a month after that but it’s really kicked off this January with my 31 Days of Blogging Challenge. 3. Blog goals for the next year? I really want to build on the travel blogging side of things which hopefully will happen after I leave for America in May/June. I want to make sure I post regularly after January is over and not give up just cause the challenge has finished. 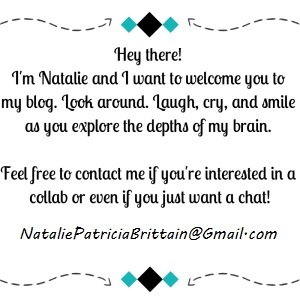 I want to build my communications within the blogging community and get a bit more of a following because all in all, I do want this to be a career for me. 4. Favourite achievements in life? Is it cheesy to say my degree? So many times I didn’t think I would do it but I managed to push through and I’m so happy I did. Also have to say my recent trip to Copenhagen made me super proud of myself for having the courage to spontaneously book my first solo trip to a country I’ve been to, staying in a hostel, and putting myself out there to make friends with complete strangers. 5. Favourite places you travelled to? Corfu is always going to have a special place in my heart no matter how many countries I travel to. This island is like my second home and I love it so much. 6. Top tips for a new blogger? Don’t be afraid to be personal – this is often a persons best writing because it comes from the heart and there are real emotions that make people feel like that can connect with you. 7. If you could blog full time, would you? TOTALLY! This is my dream career hands down and I wish I was making money from it now so that I didn’t have to waste time thinking about other things I’m not interested in. 8. If you wrote a book, what would it be about? I AM writing a book! In fact, I’m writing multiple (clearly I hate myself!) I’m mostly within the fantasy YA genre. There are two books I’m juggling in this area which you can read about in NaNoWriMo Prep and The Great First Novel Debate! I’m also writing a kind of dramatised teen contemporary/sort of memoir kind of thing I’m not sure I will ever publish but it feels good for me to write! 10. Where do you see yourself in 3 years? 11. Any hobbies other than blogging? Okay! So it’s time for me to nominate! Do you believe in writers’ block? If yes, how do you fix it? What is one thing you HATE that authors/bloggers do? One book/blog you think everyone should read. Do you think you’ll be blogging for the rest of your life?